Moved to action by a recent trip to famine-torn Africa, 50 cent has launched an energy drink whose profits will feed 1 billion kids in the region. The rapper has teamed up with Pure Growth Partners to bring Street King, a new energy drink, to the market. Proceeds from every sale will go toward feeding 1 billion kids in Africa. Street King hit stores this week, in orange mango and grape flavors, and the rapper is encouraging fans to register at the energy drink’s website. 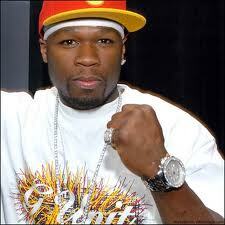 “I need you to utilize your energy–your voice–to provide additional motivation for me at times,” 50 Cent said. Speaking further on the project, 50 said he decided to target Africa’s due to the severe level of poverty on the continent.